Inspired by a trip to the Isle of Skye Folk Festival in Scotland and performances there, Jan & Dudley-Brian's first duo cassette album of traditional songs and original songs written in traditional styles. Joel and Bob now on to Diverse Peoples, Jan and Dudley-Brian begin in earnest gathering favorite and timeless Scottish songs. Margaret Is Heavy With Child (D-B.Smith), Both Sides The Tweed (Trad., Gaughin), Tears Of The World (D-B.Smith), Lady Franklin's Lament (Trad. ), Sliabh Gallion Braes (Trad. ), Wild Mountain Thyme (Trad., Tannahill), In The Cool Of The Day (Jean Ritchie), The Inverness Ball/Roots of Tweed (D-B.Smith/Jan Smith), You'll Miss Me When I'm Gone (Jan Smith), Green Grow The Rashes (Trad., Burns), The Parting Glass (Trad. ), From Hebridean Shores (Jan & D-B.Smith). 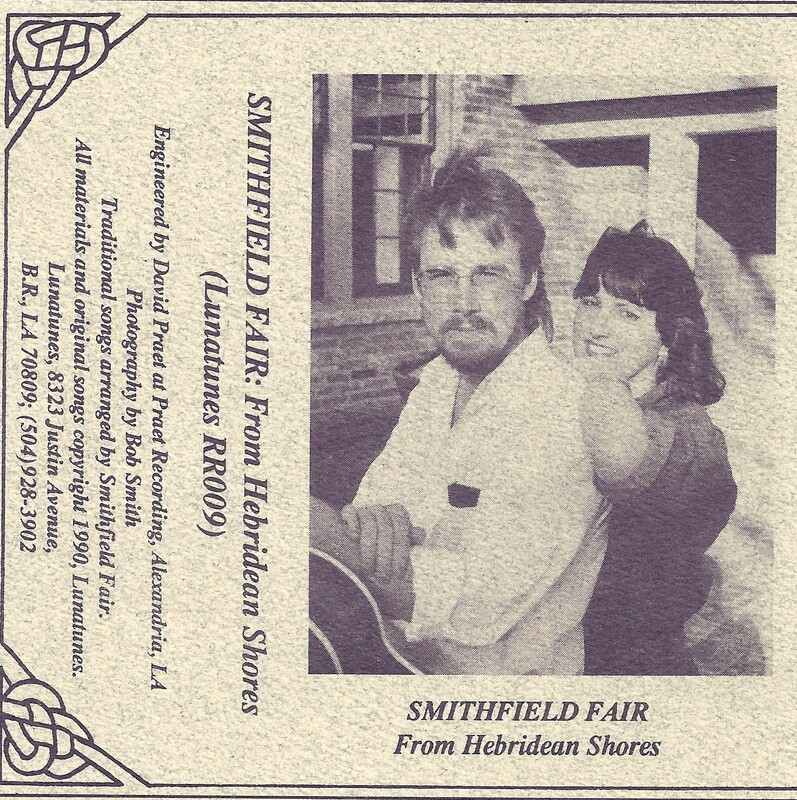 All traditional songs arranged and performed by Smithfield Fair.